Pre-concert panel discussion with the Holocaust Memorial Resource & Education Center of Florida to explore how Kaia and other artists use the power of song to document history, transform society, and empower. (Friday, January 5, Orlando, Fla.) – Kaia Kater joins Music Director, Eric Jacobsen on cello and members of the Orlando Philharmonic Orchestra at 8 p.m. on Wednesday, January 17 at The Plaza Live (425 N Bumby Ave, Orlando, FL 32803) to perform songs from her latest album Nine Pin, with orchestral arrangements by Andrew Ryan. Throughout time, music has served a unique role in history. Whether it’s been for pleasure or to inform, rally, or resist, music has played an important role in society. Join the Orlando Philharmonic in partnership with the Holocaust Memorial Resource & Education Center of Florida, for a panel discussion in advance of the Katia Kater concert to explore how she and other artists use the power of song to document history, transform society, and empower. This event is included in the ticket price of the concert and takes place from 6:30 to 7:15 p.m.
As a new generation takes the reins, American roots music is needed more than ever to remind us of the troubled pathways of our own history. Born of African-Caribbean descent in Quebec, Kaia Kater grew up in two worlds: one of her family’s deep ties to Canadian folk music in her Toronto home; the other the years she spent learning and studying Appalachian music in West Virginia. Her acclaimed debut album Sorrow Bound (May 2015) touched on this divide, but her album, Nine Pin (May 2016), delves even further, and casts an unflinching eye of the realities faced by people of color in North America every day. Kater’s old-time banjo skills, jazz-fueled voice and deft song craft have garnered acclaim from Rolling Stone, BBC Music, and No Depression. Nine Pinwon a Canadian Folk Music Award and sent her on an 18-month touring journey from Ireland to Iowa. She is currently working on her next album, due for release in early 2019. 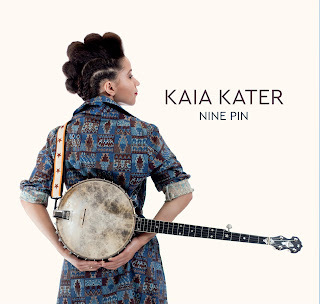 Her songs on Nine Pin are fueled by her rich low tenor vocals, jazz-influenced instrumentation, and beautifully understated banjo. They’ve got as much in common with Kendrick Lamar right now as they do with Pete Seeger. As a concept album, Nine Pin weaves between hard-hitting songs that touch on modern issues like the Black Lives Matter movement (“Rising Down,” “Paradise Fell”) and more personal narratives speaking to life and love in the digital age (“Saint Elizabeth”). And while these larger stories are deftly crafted, this is really an album of moments. Kater’s acappella voice speaking to the loneliness of a city in “Harlem’s Little Blackbird” while solo dance steps echo in the background, the muted hesitancy of Caleb Hamilton’s trumpet breaking the trance of “Little Pink,” the smoke of electric guitar that cuts through “Saint Elizabeth,” the wave-like ebb and flow of piano behind the plaintive love poem “Viper’s Nest…” All of these moments point to an artist wise beyond her years.